Custom-made wave washers (spring washers) with two or three waves for a multitude of technical applications according to your drawings and specification or based on our spring design optimised to your requirements. With two or three waves or in custom shapes (individual blank outline and moulding). Additional (automated) setting and 100% spring force test if required. 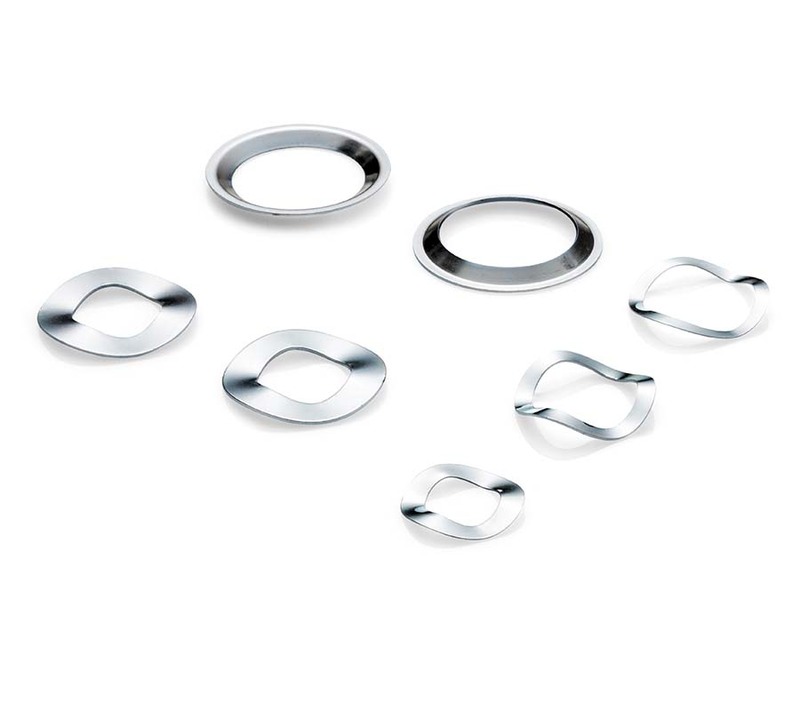 Stamped lock washers and retaining rings for shafts and bores with varying connection dimensions and functions.